White label social networking service Grou.ps is now closed for new signups as the company is changing its strategy from being a general private social networking service to focusing solely on the health and fitness industry. The company is also changing its name from Grou.ps to GymGroups. Grou.ps was one of the first private social networking services on the market — together with Ning — when it launched in 2005. The team told me that the company had been profitable for a while now, but growth had stalled. So about a year ago, Grou.ps founder Emre Sokullu and his team started thinking about the future of the service and realized that about 40 percent of Grou.ps’ customers were in the health and fitness category, which was also one of the few areas where the company was seeing growth and where attrition was lower than in other areas. “We decided to put focus on our health & fitness vertical a little less than a year ago, but the full switch to GymGroups was decided just a month ago,” GymGroups’ marketing manager Neesha Sridhar told me. GymGroups isn’t just a repackaging of Grou.ps, though. While it uses the Grou.ps platform and centers around private social networks for gyms, the company also decided that it wanted to make gyms smarter and help them extend their reach beyond their physical location. 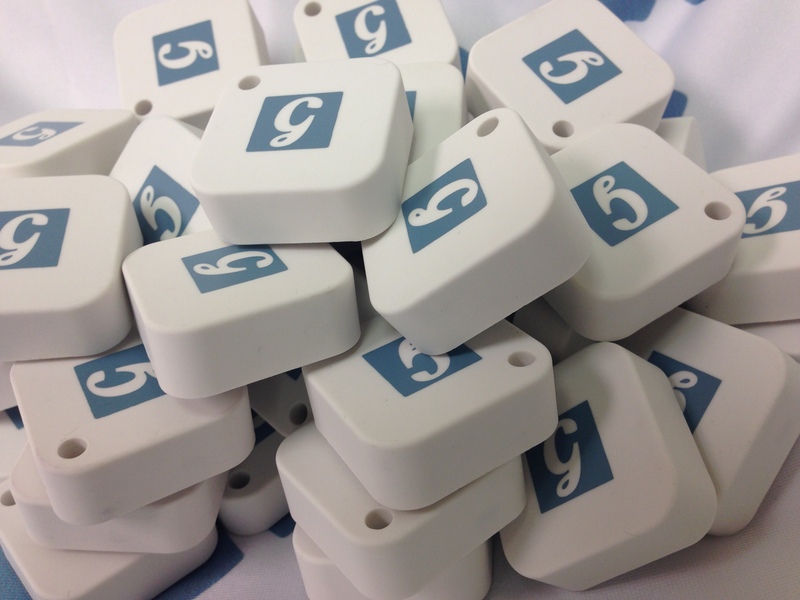 GymGroups is also working with gyms to add iBeacon technology to their buildings and individual workout machines. Through this, the beacons can send automatic check-in signals to the GymGroups mobile app, for example (or, if there is no beacon installed yet, they can check in themselves manually, too). 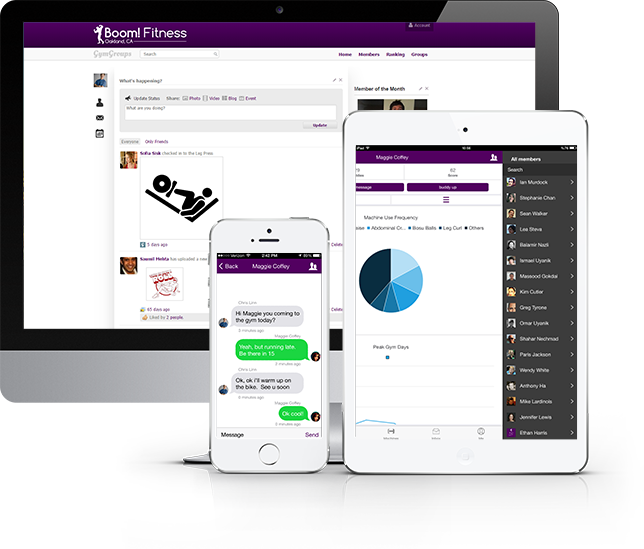 While you can use the GymGroups app at any gym to track workouts and connect with others who go to the same gym, the company’s interest is obviously in selling additional services to gym owners. Using the beacons, gym owners can see what machines their customers are using, for example, and which customers are likely to cancel their memberships soon. But in addition, this also allows gyms to extend their influence beyond their physical location. GymGroups will be able to also crunch data from HealthKit, Google Fit and other third-party fitness services. GymGroups tells me that the big trend in the fitness industry is about figuring out how to retain users and how they can stay relevant in what is mostly still a low-tech industry. As for the existing Grou.ps service, Sridhar tells me that the company plans to continue to support it. There is no end-of-life date, but the service is now closed for new sign-ups.